Photo. Richard Lane. .France v England. Semi-final at the Telstra Stadium, Sydney. 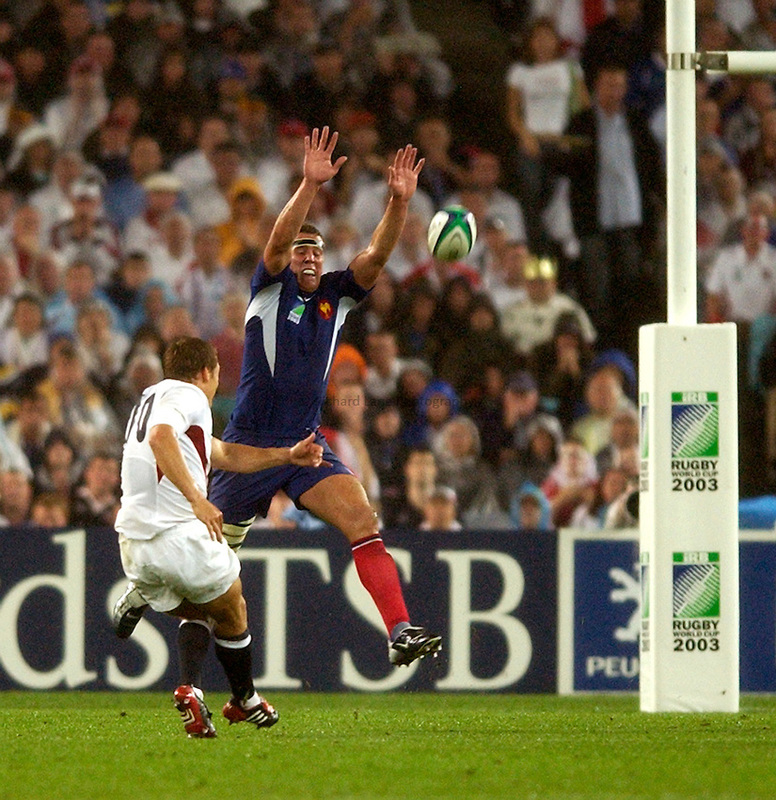 RWC 2003..16/11/2003..Jonny Wilkinson sails over a drop goal as Imanol Harinordoquy attempts to charge down.